Marylou Kelly Streznewski (email address strez7@verizon.net) is an eclectic writer of poetry, fiction, and non-fiction whose career has included theater, journalism and education. A teacher in Advanced Placement and gifted programs she has taught writing on levels from high school (Central Bucks School District, PA) through college (Rider University and The College of New Jersey), adult and senior groups. 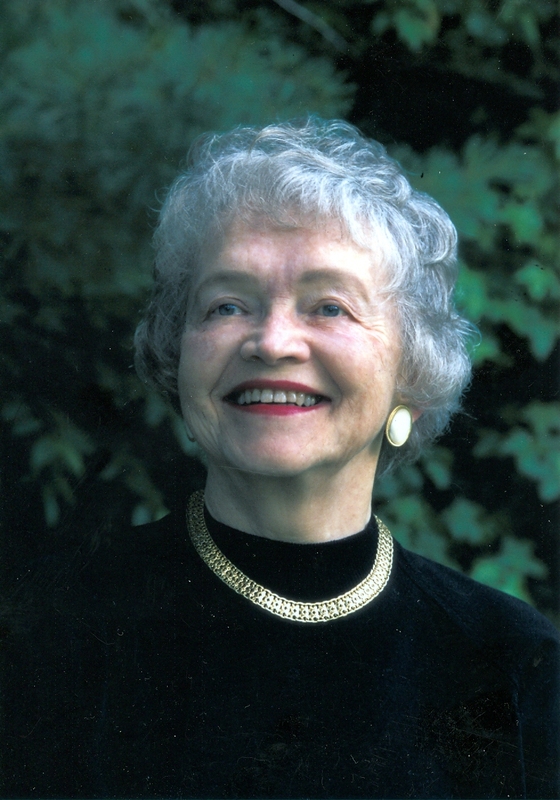 As the founder of the James Michener Museum High School Poets Reading, she established a poetry competition for the Central Bucks School District which allowed the winners to read at the museum with Bucks County’s Poets Laureate. She is the former poetry editor of the Bucks County Writer where she profiled Christopher Bursk, Jane Hershfield and Marj Hahn. As poetry curator of the Writers Room of Bucks County she also taught poetry courses at the Pearl Buck House. Profiles of Donald Hall and Stanley Kunitz have appeared in the online publication, Wild River Review. A long-time member of the International Women’s Writing Guild, she has served as a workshop director at their annual summer conferences, where she has taught classes in the use of imaging to enhance writing and clear writer’s block. Publication credits include poetry, fiction, non-fiction and articles in professional journals. Two chapbooks, Woman Words and Rag Time are housed in the chapbook collection of Poets House in New York. Poetry has appeared in English Journal, I Know Magazine, The Magnetic Poetry Book, US#1 Summer Prose and Poetry, and was featured in Snake Nation Review. Streznewski’s short fiction has appeared in The New England Writers Network, St. Anthony Messenger, US# 1 Summer Prose and Poetry, and was featured on Amazon’s Amazon Shorts program. In the non-fiction field, her book, Gifted Grownups, The Mixed Blessing of Extraordinary Potential, (John Wiley & Sons) a study of one hundred gifted adults, appears in over one hundred libraries worldwide; as a text in graduate courses; in both e-book and hard cover format; has been translated into Chinese and published in Taiwan, and is currently being translated into Polish. It has sold over nine thousand copies. In competitions poetry has won awards from the U.S.#1 summer Fiction Competition and the Greenway Land Trust Competition (NJ) in “Water: Poetry and Art,” and an Honorable Mention from New Millennium Writings. She is a three-time runner up for Poet Laureate of Bucks County. A poem, “Morning on Tohickon Creek,” is part of an exhibit “Beauty:Making Magic with Words and Images,” at the James Michener Museum in Doylestown, PA. The exhibit is going on a national tour and her work has been selected to use in the advertising campaign. Currently, Streznewski has just completed a memoir, Heart Rending-Heart Mending: the Miracles of Modern Medicine Can Fix You, but You Have to Heal Yourself , based on her experience of, and recovery from massive open heart surgery. The text combines both poetry and prose to take the reader inside the world of open heart surgery from the patient’s point of view, and shows how she used holistic and modern medicine in healing herself. The poetry portion of this work is also presented as a performance piece. Appearances and readings have included the Wordsmiths Series at the Bucks County Community College, various bookstores and libraries in the Delaware Valley, and the Medicine Show Theater Company in New York.